Hi everyone its me K back with my next review. 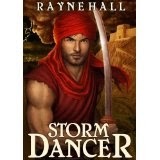 This is another book by Rayne Hall that I got the chance to read. This book is called Storm Dancer and you can get it for $0.99 on Amazon here. I am so excited to have finally gotten the chance to read this book. I have been wanting it ever since I read 30 Scary Tales because that has a story in it that goes with this book. So, I will start with my dislikes. I thought that Rayne followed too many characters because of this it was hard to follow at points. She should have stayed with Dahoad and Merida. Another problem that I had was that the ebook didn't have links to each chapter for use as a reference. Also, when one chapter would end another would start on the same page. I know that lots of books do this its just that I don't like it. My likes were she had great challenges for her characters. For instance, Merida was held against her will. I would explain more about this but I don't want to give too much of the story away. Also, a lady called Sirra was a slave raped and bore two children. Then she was sold and separated from them. Later she escaped and then she found her son but neither of them knew it. The story is about a man named Dahoud who is possessed by a djinn and is basically a boogie man of his world. He used to concur many towns and killed many women after he had them raped to death. He wanted to escape from the djinn so he faked his own death so he could protect the women instead of harming them. Some time later he becomes the lord of a town and it is attacked by the brother of one of the women that he harmed in his old life. The brother wants revenge and Dahoud wants to protect his town. I would tell you more but I don't want to give too much away so you wont check it out. 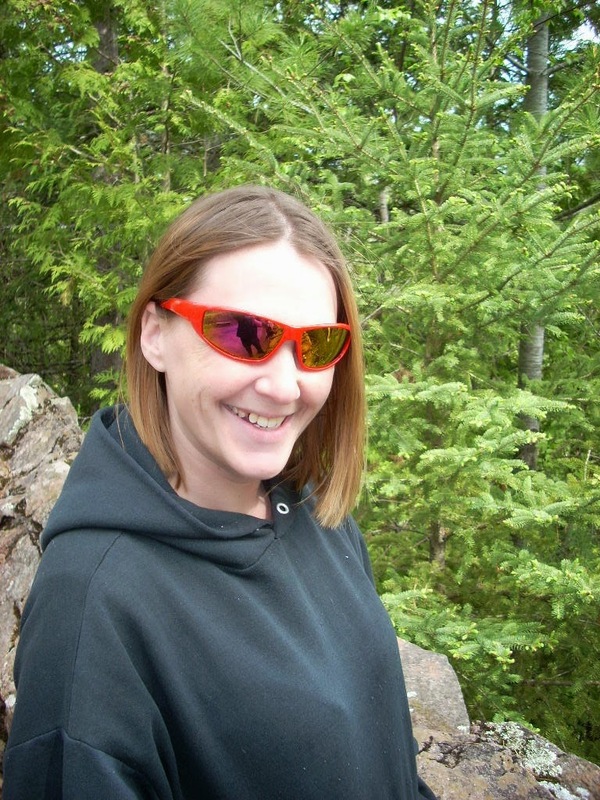 I hope you enjoyed my review and keep watching out for me because I am always looking for more books to read and review. I am actually going to start on my next one right after this.